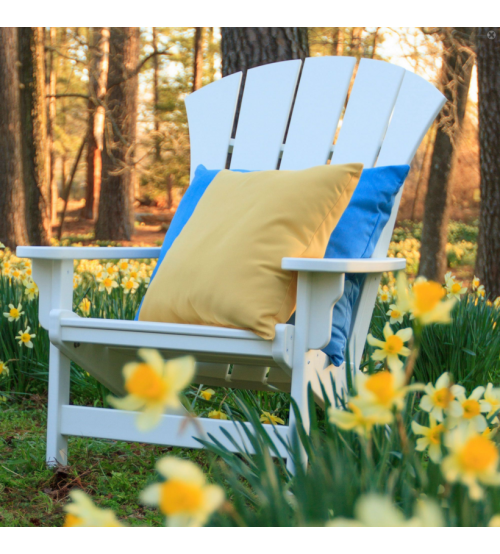 The Durawood Sunrise Adirondack Cahir has been carefully crafted by artisans who paid attention to every fine detail of this chair. A piece of furniture where craftsmanship tradition features a gentle horizontal curve for the back and a seat specially contoured to provide the utmost in comfort. The sitting angle reclines just enough for maximum comfort and ultimate relaxation. 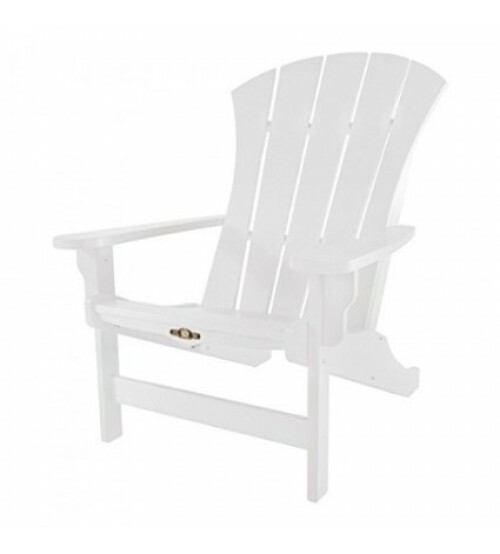 This chair features wide arms rests with all the edges and corners rounded and softened for a smooth feel. These chairs are built solid by using the ancient carpentry method of mortise and tenon at all the joints. 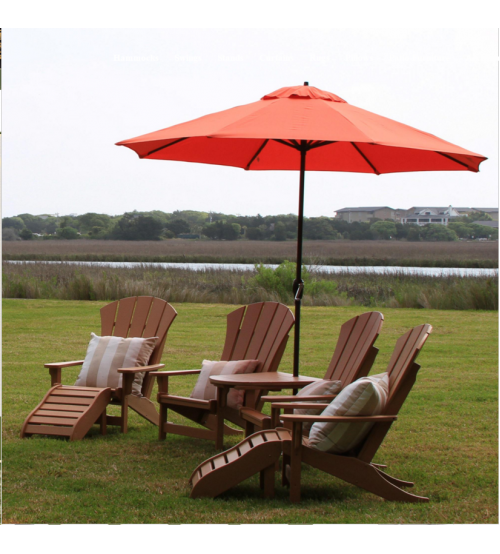 The Sunrise Adirondack Rocker features Durawood (a poly lumber material made from recycled HDPE plastics), and durable, marine-grade, 316 stainless steel hardware. 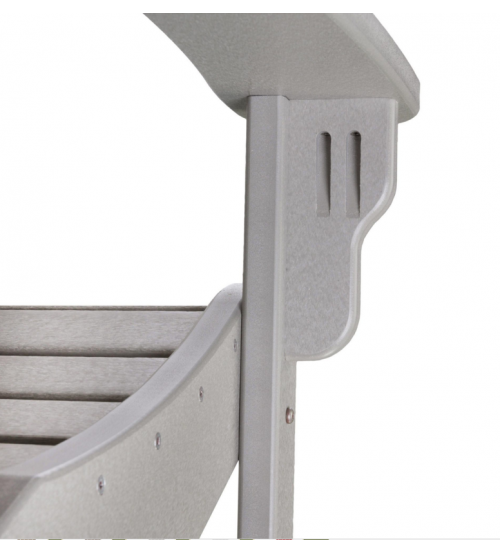 Details, details, details, the screws and bolt heads are gracefully obscured from the front view of this chair. The heads of the bolts have been primed and painted to match the color of the poly lumber. Its joints and attachment points are painstakingly engineered to remove all visible hardware from the front of the seat, back, and arms. 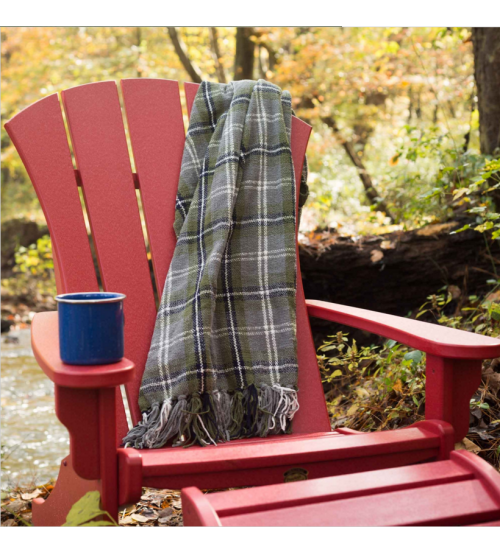 Comfort and beauty are all wrapped up in this fine Adirondack chair. You will be the envy of the neighborhood. Assembly Required. Assembles in approximately 15 to 20 minutes. Tools needed for assembly: Power drill and wrench.